Gluten-free salted caramel brownies are the perfect gluten-free dessert recipe for brownie lovers! These thick and chewy gluten-free brownies will even fool your gluten-loving friends. They are the perfect blend of sweet and salty, and who doesn’t love rich, dark chocolate?!!! I want to share a new cookbook, Gluten-Free Baking, from Cooking Light that will simplify your gluten-free life! 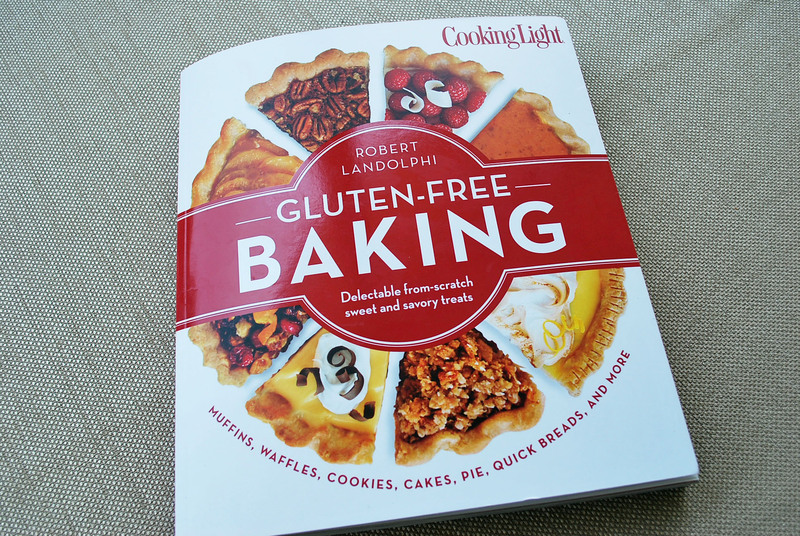 This gorgeous cookbook, created by Chef Robert Landolphi, is full of delicious treats and helpful tips to ensure gluten-free baking success. I love this book because Chef Landolphi’s recipes are healthier options, utilizing whole grains, less saturated fat and fewer calories than the traditional calorie-dense favorites. The tempting recipes that you will find in this gluten-free recipes book include; muffins, cakes, pies, cobblers, cookies, pizza and so much more. 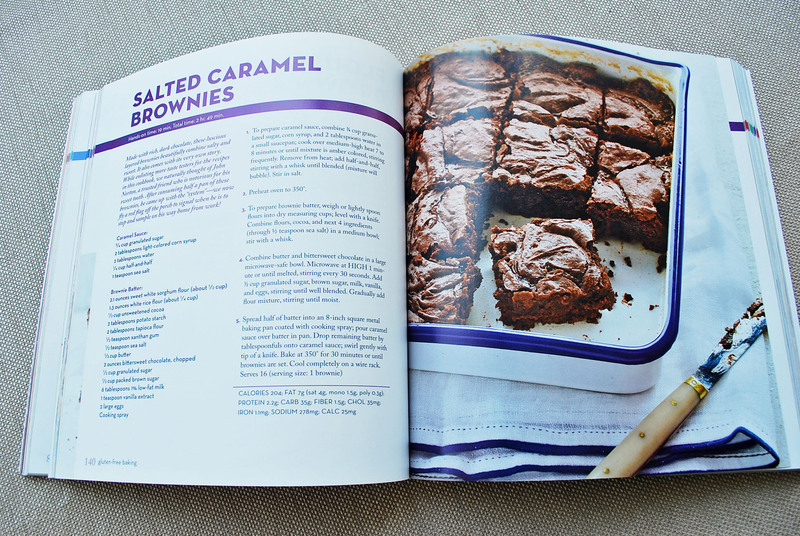 I’m sharing Chef Landolphi’s gluten-free salted caramel brownies recipe. *This cookbook was provided for my review. All opinions are my own and not influenced in any way. To prepare brownie batter, weigh or lightly spoon flours into dry measuring cups; level with a knife. Combine flours, cocoa, and next 4 ingredients (through 1/2 tsp. sea salt) in a medium bowl; stir with a whisk.